Former Illinois Governor Rod Blagojevich (C) arrives at the Dirksen Federal Building while the jury deliberates in his corruption trial August 11, 2010 in Chicago. Rod Blagojevich is getting some of what he wanted, but whether it works in his favor is still yet to be some. In a blow to the prosecution, Judge James Zagel on Thursday ruled that much of what was filed under seal during last year's federal corruption trial can be unsealed. But he rejected a number of defense motions, including one that complained the government failed to record conversations that could have exonerated the former governor. A request to delay the trial was also dismissed. Earlier this week, the government filed a number of motions. Not only did the prosecution want the evidence that was sealed last year to remain sealed in the next trial, they wanted Zagel to forbid Blagojevich from repeating his "play the tapes" mantra. The former governor assailed that request on Wednesday during an impassioned statement timed with the top of local evening television newscasts. 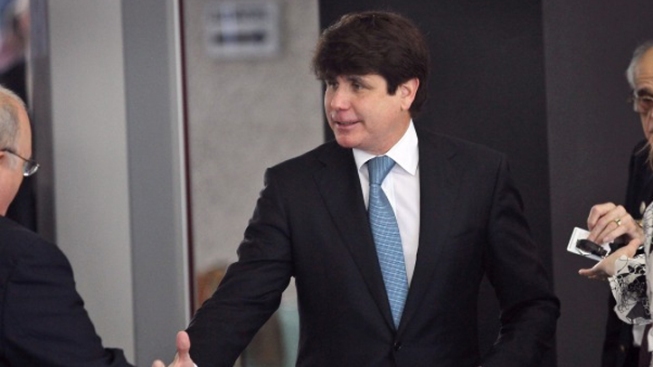 "I'm a former prosecutor," Blagojevich said outside his northwest side home. "It is not the job of a prosecutor to win at all costs. It's not the job of a prosecutor to railroad an innocent man. It is the job and duty of a prosecutor to do justice. What is justice? Justice is the finding of the truth. You don't find the truth by hiding the truth." At the end of his first corruption trial, Blagojevich was convicted on just one of 24 counts: obstruction of justice. 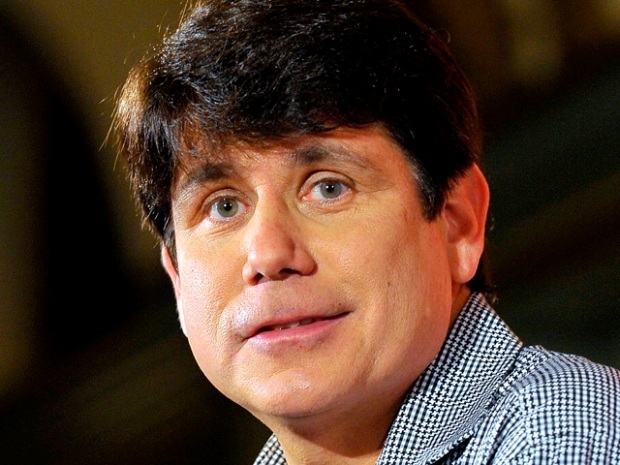 Blagojevich is due back in court on April 20. Jury selection could begin on April 21. Jurors will not work on Fridays.